Posted May 15th, 2018 . Chargemaster has been announced as one of ten ‘innovative organisations’ to be chosen in the 2018 Ashden Awards. Chosen as one of the best in sustainable energy, Chargemaster has taken the prize for Clean Air in Towns and Cities. The award was given for the company’s continuing expansion of the POLAR charging network and the part it plays in encouraging the uptake of electric vehicles across the UK, as well as Chargemaster’s operation of the Electric Vehicle Experience Centre in Milton Keynes. The Electric Vehicle Experience Centre is the UK’s first brand-neutral showroom for electric cars, which promotes the benefits of driving electric and plug-in vehicles, offers test drives to visitors, and supports Milton Keynes’ Go Ultra Low City transformation. 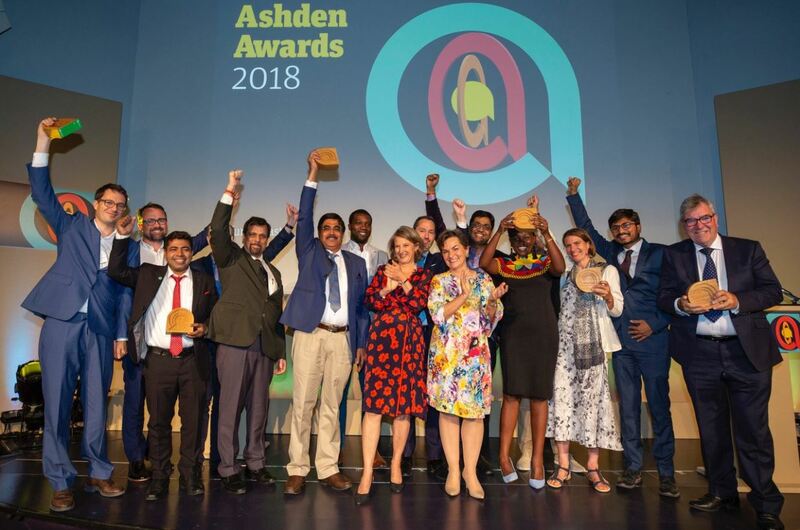 CEO and Founder of Chargemaster, David Martell, accepted the award at the 18th annual Ashden Awards last night on the 14th June alongside other UK based and International winners, including Nottingham City Council and Smarter Grid Solutions.